Steve Warren, a radio veteran from Austin Texas and co-creator of the popular and highly regarded scheduling software Music, writes about two of the most important elements in radio – radio station promotion and radio station promo. 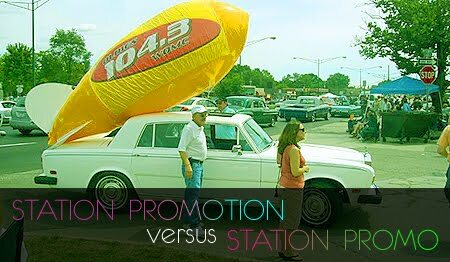 The first part of the article talks about the how to make station promotions more effective and the second part breaks the traditional approach in station promos and explains how placing of the promos may need to be challenged. If you ask most PDs what promotion is, they’ll tell you it’s a contest. We may attach the word “promotion” to a contest for convenience’s sake, but in most cases a contest doesn’t accomplish much in the way of true promotion. A contest is a treat for people who already listen to the station. A real “promotion” exposes the station to people who aren’t among the regular listeners. If we let them know about us and can get them to tune us in for a sample listen, then we truly contribute to the further growth and prosperity of the station. Whenever you run a station promo, it should be placed second in the stop set. Now, that contradicts both of the commonly accepted theories about promo positioning in a stop set. The first theory is that the promo should run first in the set so it can’t be missed and is less likely to be mentally tuned out by the listener. The second theory is that the promo should run last in the stop set so that when the listener hears a commercial for the station it will be immediately followed by music. The thought that being the station name and good music will become more closely associated in the listeners mind. Read the entirety of the article by downloading this month’s E-Zine at Blue Revolution, www.bluerevolution.com. Subscription is free, click here to grab your copy now. Check out the latest Blue Revolution demo for its Imaging, Production and Programming Services. Steve Warren is a radio veteran from Austin Texas. He is co-creator and developer of the popular and highly-regarded scheduling software Music 1, as well as being a seasoned broadcaster and consultant. Steve’s worked in some of the biggest (and toughest) markets in the world and consulted in many more. He’s given away various Big Ticket items during his time as a Presenter including cars, expensive holidays and so on. He’s also given away prizes he’s way too embarrassed to mention! His 264-page book “The Programming Operations Manual” is called the Radio Bible by many people in the industry. It’s sold over 2000 copies since it was first published in 1984. Copies are available in Steve’s website www.gomusic1.com.